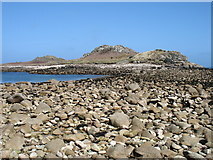 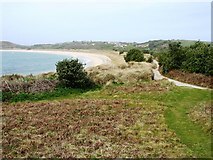 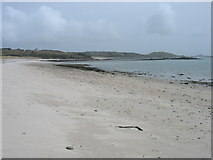 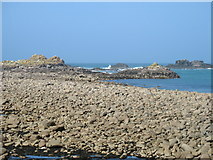 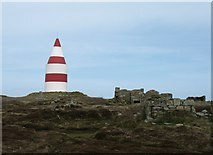 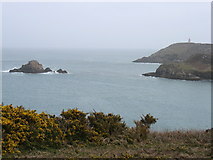 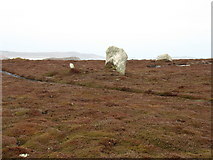 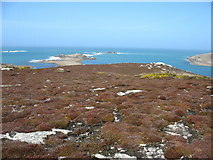 A six-day visit to the Isles of Scilly in April 2013 enabled me to visit all five inhabited islands. 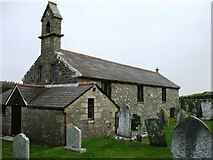 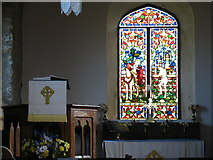 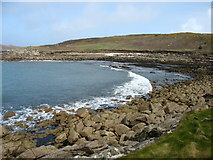 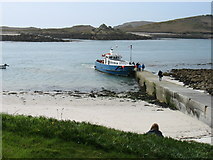 This final day was spent on St Martin's, the inhabited island nearest to the mainland. 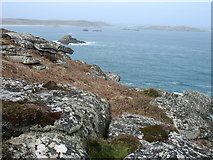 Looking out towards Pernagie Isle and Lion Rock, both in [[SV9117]]. 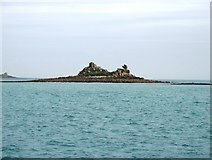 Guther's Island is between St Martin's and St Mary's.